The anynode® configuration wizard makes the installation a piece of cake. Just a few steps to connect SIP providers with your SIP-PBX. Of course it works with Microsoft Skype for Business as well! Do you know what? We looooove Windows! And Linux!  For that reason you can use anynode® with both operating systems. In short: anynode® is platform independant. No frills! anynode® is a pure software solution – for maximum flexibility. Install anynode® exactly where you need it: on your hardware or virtual system. Be ready for anything - especially with anynode®! Ready for dispatch and only a second away: Installation files are available for download on our server and licenses will be delivered within minutes by e-mail. Get started right away! endpoint in front of a non-secure network. on the Microsoft Windows Platform reduces the administration expense. Take your time to truly experience the power of anynode® even in the most intricate testing scenarios. And if you need more - drop us a line. We offer unlimited technical support via our online ticketing system during your evaluation period with a fast response time. All learning resources and our community area are available to you. Training videos, documentation, and whitepapers - it's all there.